Among the few reasons Zlatan Ibrahimovic decided to idolise Muhammad Ali, one especially will stand out. “The way he was, the way he performed, the way he was talking, the way he was moving,” the Swedish goal-machine began, speaking with a unique infatuation that only suits him. Make no mistake, it should be his final point that’s the most pertinent. “The way he responded to the critics, to whoever talked,” he went on. This was on Thursday; and by Saturday, the numbers who still had doubts if he could unleash an impact in the Premier League came down to single digits as he confirmed that this would be his 11th season in a row having grabbed at least ten league goals. Against West Brom, Ibrahimovic looked at his very best. He scored two goals, orchestrated the play brilliantly, led the front line as only he can do it, and even provided an element of complete destruction. The week started with Ibra scoring the winner against Crystal Palace following an alleged elbow to Yohan Cabaye. It rounds up with his clinical brace at The Hawthorns being overshadowed (by some) as a questionable challenge on Craig Dawson grabs the back-page headlines in British media. But who cares! Manchester United fans will love it. 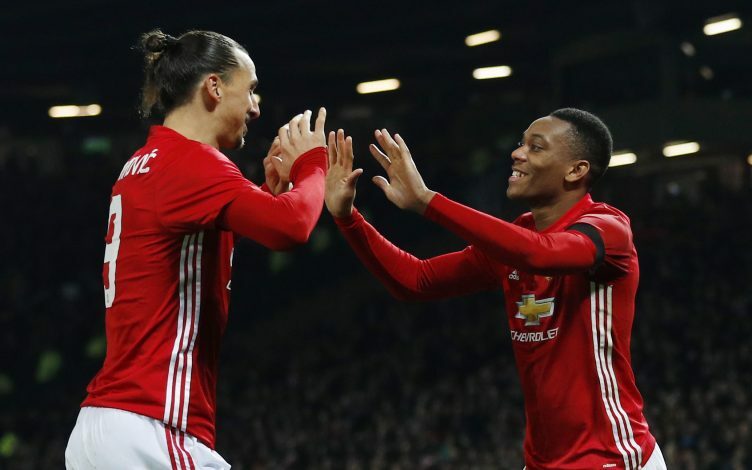 Ibrahimovic has incorporated a much-needed edge to this United squad, who were basically bullied all too often by more physically imposing teams over the past few seasons. And now, the scenario has completely changed; the Swede has committed more fouls than any other player in the league this season (38). Paul Pogba, rather surprisingly, is only one foul behind in second. But strikers need to score goals, and the 35-year-old ‘youngster’ has come up with an excellent response to a run of only a solo strike in 11 matches from September to November. He has now hammered 16 goals across all competitions for Manchester United before Christmas. Last season’s top scorer for United was Anthony Martial, netting 17 goals. The season before that, Wayne Rooney topped the chart, scoring 14 times in the 2014/15 campaign. The Englishman’s triumph of 19 goals in the 2013/14 campaign is already under severe threat. Close to almost the halfway stage of this season, however, and the 35-year-old is running like a 19-year-old. Jose Mourinho has called him “phenomenal” and from the player himself, in his own inimitable attitude, has arrived the insistence he has even more to give. As well as being a source of goals, Ibrahimovic is also an outlet for others. On Saturday, he assisted two scoring attempts, the joint highest in the visitors’ ranks alongside Lingard, and generally allowed United to build momentum with his hold-up play. It can be predicted that if Ibrahimovic is still able to kick the ball around in 2031, it will not with United. But for now, there is not a single doubt about his value to the team. Along with the former Paris Saint‑Germain striker, came experience, craft, muscle, and ruthlessness to magnify their attack, which was once again seen in the goals he scored in the 2-0 win at West Brom. The first one came thanks to a precise header after he leapfrogged Gareth McAuley to Jesse Lingard’s pin-point cross, having predominantly pulled back the Albion defender. His second goal took a deflection off Craig Dawson, but before that, United’s No.9 had already manoeuvred between McAuley and Matt Phillips with his unique verve. It is no wonder Jose Mourinho sometimes plans to give some rest to his on-pitch leader. Ibrahimovic, as a matter of fact, has seen more minutes in all competitions than any other Manchester United player (2,102). He has missed only two of Red Devils’ 27 matches. The West Brom win was his third game in six days, and his eighth game in 24 days. He is running like a machine, has played the full 90 minutes in each. That is not what many opined when Ibrahimovic arrived on these shores back in July with a blaze of hype. And yet there is no surprise that Mourinho sees the striker as “almost impossible” to rest. 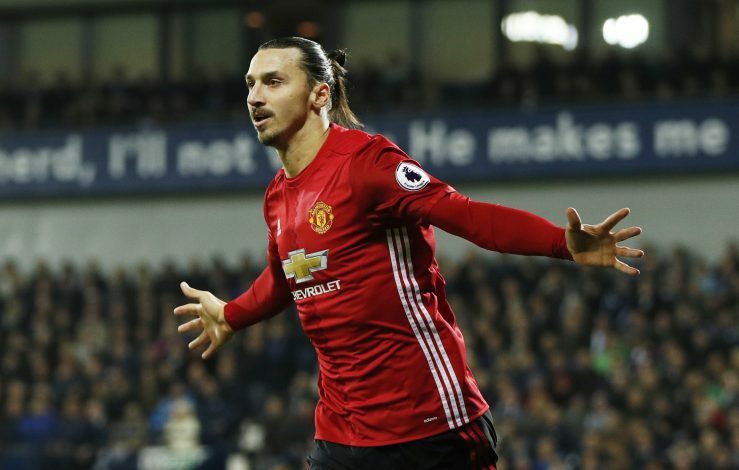 He has scored ten goals in his last nine appearances, no other United player managed to score more than five goals, and that is why the example Ibrahimovic sets to his gloomy teammates is loud and clear. Few others have the exceptional talent to make Phil Jones giggle like a child. For the time being, however, he is fully fit and firing in all cylinders, and it certainly caught the attention on Saturday when the travelling fans started to chant Eric Cantona’s name just after the scoreline was 2-0. A little under 20 years since the Frenchman’s retirement, Manchester United have another forward who has brought a potent mix of charisma and talent to Old Trafford. Just like Ali did long ago, Ibrahimovic rightly commands respect from those he works with regularly, and derives fear from his opposition. Gareth McAuley and Jonas Olsson of West Brom were forced to look their 37 and 33 years of age respectively on Saturday – the Swedish Superstar, even at 35, seemed like a striker thriving in his prime time. And those critics have been banished in the wilderness.